Stylish wall sticker of a steaming hot cup of coffee to decorate your kitchen, cafe or coffee shop. Superb monochrome decal to add a touch of class to any empty wall. 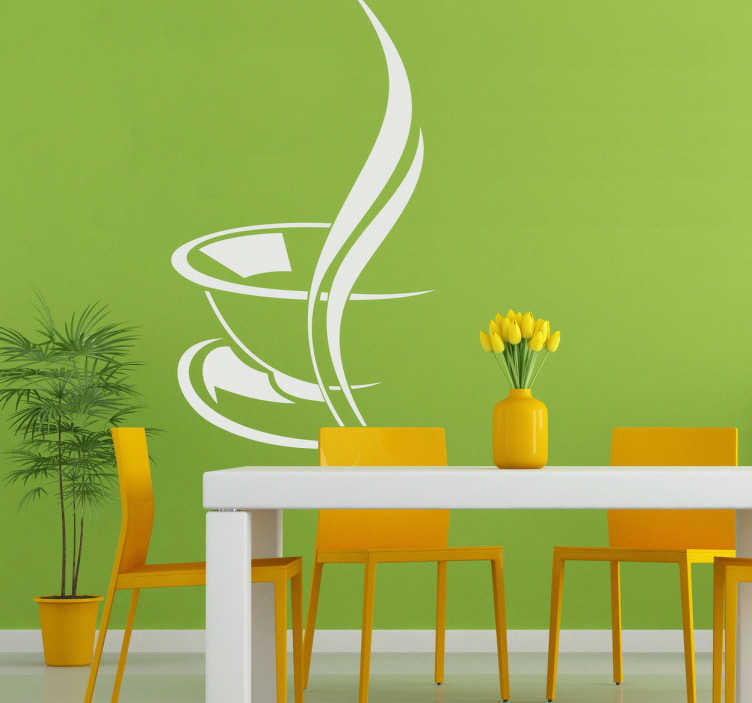 This coffee wall sticker is subtle but extremely effective in setting the mood for a nice hot drink, available in various sizes and 50 different colours allowing you to fully customise your space the way you want.